Everything has been covered well so far by others here. 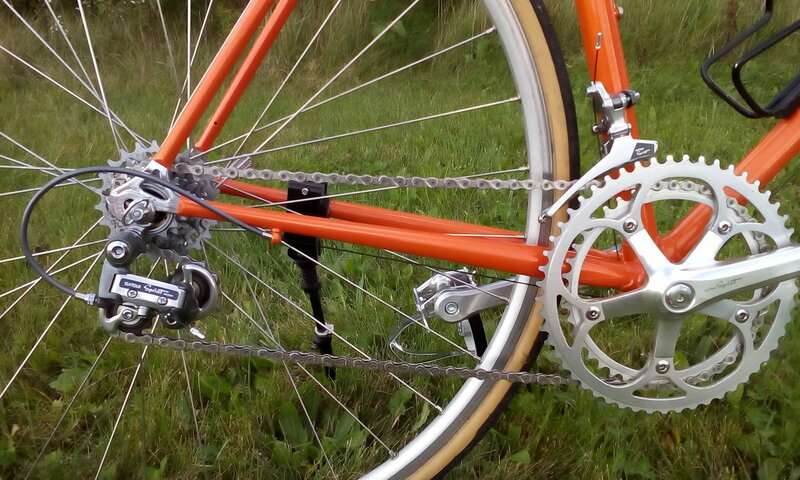 Also note, your bike will most likely have Suntour's best Superbe or Superbe PRO rear dropouts. I just rebuilt a 1984 SR version that came to me as a repainted frame. 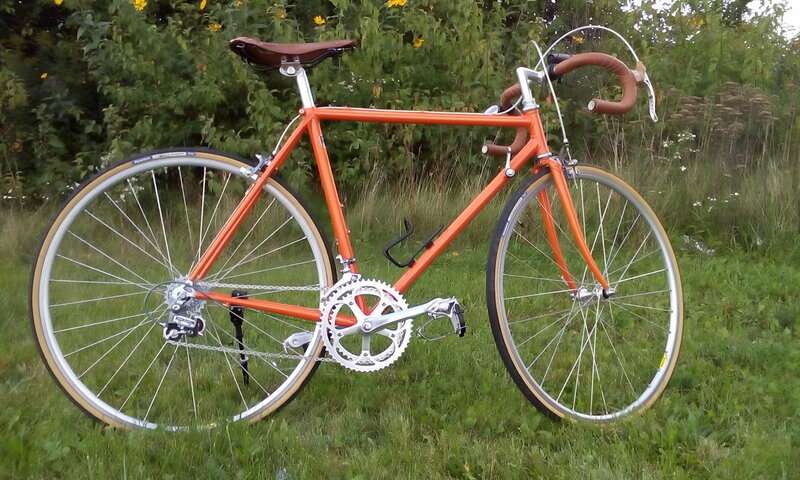 Had the frame repainted metallic orange. These are really nice frames, light enough for speed and heavy enough to be a smooth and maneuverable rider. BTW, mine has been changed to the last generation Suntour Sprint equipment with indexed shifting. Another note, in the 80's Araya was producing some really nice frames. They would often label them as using Tange Champion #2 , but when you look at their catalogs from that time frame you'll see they actually often used Tange #1 tubing in combination with #2 in one frame. They very easily could have done similar with the higher end SR built frames. We'll probably never know for sure. It also appears that in 1983 they called the bike the Triathlon and in 1984 (the year of my bike) it was called the Maxima. Both were their top of the line SR model and in the exact same colors. They also update from the 1st generation Superbe to the 2nd generation Superbe Pro, both however still friction shifting, in the 83 to 84 year transition. Last edited by Don Buska; 03-08-19 at 03:32 PM.